Sometimes it's hard to find furniture that fits inside old homes. That's because back in the day, there weren't Great rooms where the family cooked, ate and lounged all in one big open space. Today's furniture has grown bigger along with its rooms over the years. Plus there's the added issue of modern furniture not even being able to fit through the doorways of old homes, even if, once it's in there, it fits. 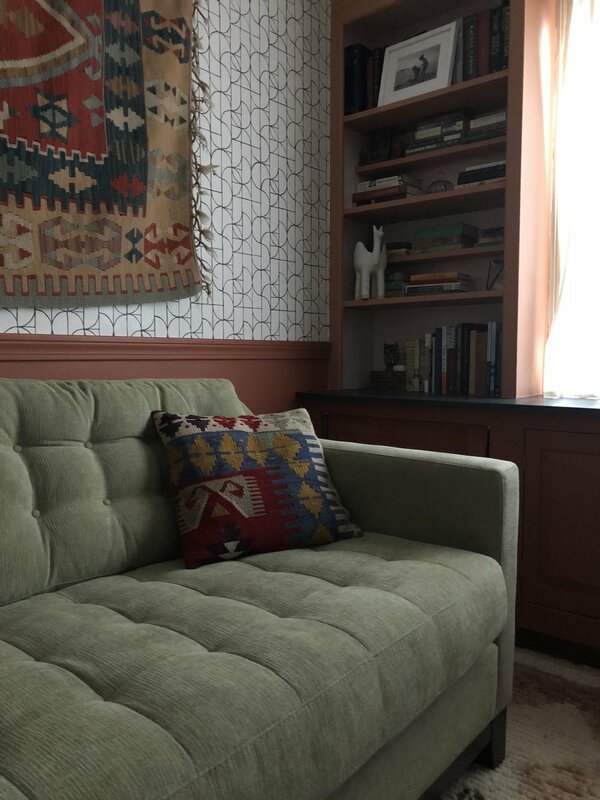 Our home is a typical size for one built in 1900 and the space I was making over for the Fall 2018 One Room Challenge is particularly small. We've set aside our den for one purpose: to have a place to snuggle up together while watching TV. 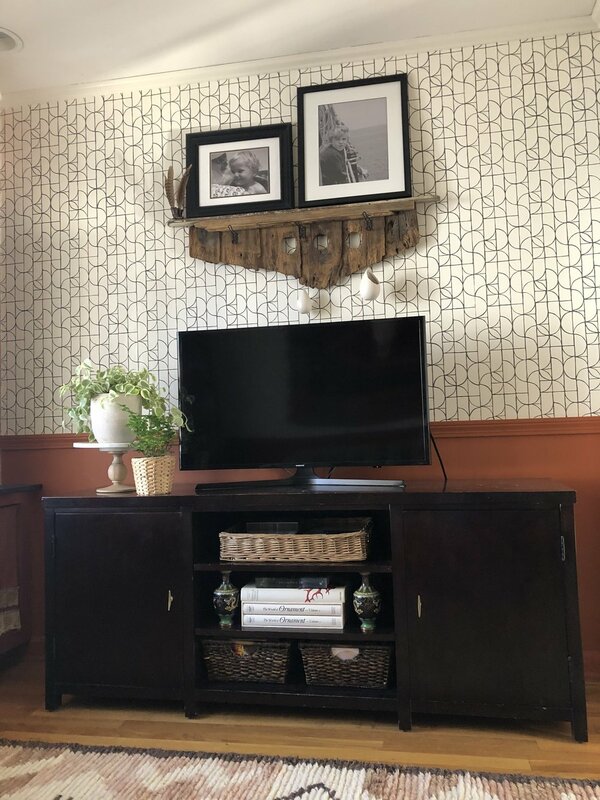 (We love having a room for the TV that's separate from our living room where we can hang out with friends--an added benefit to old homes: they tend to have separate rooms for different activities). Since laying about comfortably is the main objective in the den, our sofa needed to have pillows that wouldn't sag and held up our lazy heads. But of course, I also want it to look beautiful! Now, comfort + beauty didn't seem like I was asking for too much. Until I also needed the scale of the sofa to not overwhelm the room. That's where I started to run into problems. Many sofas I was looking at wouldn't even fit through the doorway, let alone, the room! Happily, most of Jonathan Louis’ pieces are available in multiple sizes, which meant I could look at a large variety of styles and not worry too much if they'd have a size that was right for us. Many of their collections come in multiple options: condo-sized sofas for tighter spaces, estate-sized sofas if you have a little more room, and sectionals that can comfortably seat a few friends or the entire family and then some! 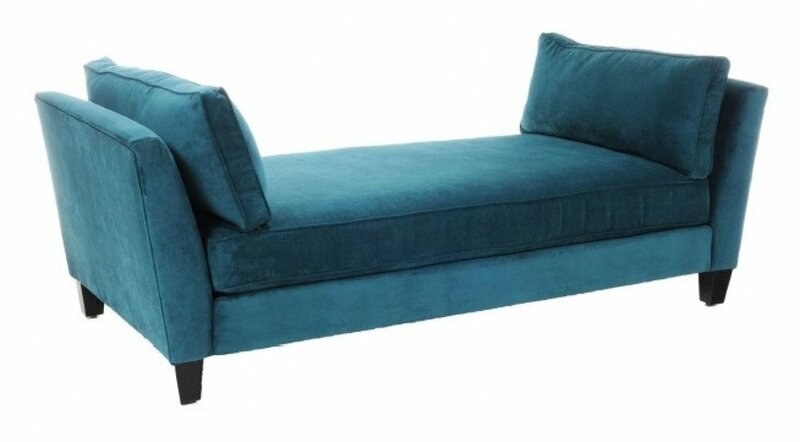 Now, if I wanted a different look altogether, Jonathan Louis also manufactures a line of settees, benches and daybeds, which can serve as the perfect sofa alternative. The Nikki Settee and Seth Daybed are two of my favorites! For my den, I was looking at 7 different options (SEVEN!) that would work with my size constraints. I also knew I wanted something that reflected one of my particular style preferences: to have modern lines with a nod to vintage details. I quickly zeroed in on the Cantrel. It has a slim profile with wooden legs that weren't hidden behind a skirt. And it also has tufting, which is one of my all time favorite things to see in furniture. 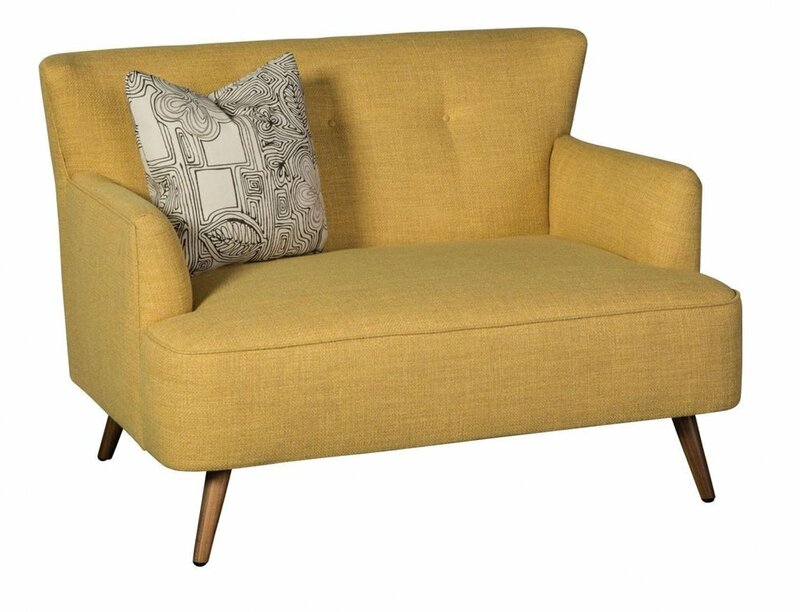 However the picture of the sofa on the website was featured with a chaise, which I definitely don’t have room for. So again, I was so pleased to see that this collection was available just as a “condo sofa. I've really been able to personalize my piece – not just with the fabric but also the configuration – to fit my space and reflect my style! If you’re thinking about new furniture, I’d definitely recommend checking out Jonathan Louis. And to find a dealer who carries their products, just go to their dealer locator.